River Valley Group is a part of TD Wealth Private Investment Advice, a division of TD Waterhouse Canada Inc. which is a subsidiary of The Toronto-Dominion Bank. 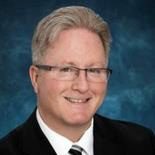 Cory started his career in the financial services industry with TD in 1996, became an Investment Advisor in 2005 and in 2012 was a founding partner for the River Valley Wealth Management Group of TD. He has extensive experience working with a select group of families, Institutions, Foundations, Corporations and other high net worth organizations. He holds the Chartered Investment Manager (CIM) designation and has completed the Personal Financial Planning (PFP) course. Cory has strong ties to the community and is an active supporter of numerous local organizations, charities and initiatives. He currently sits on the board of directors for the Edmonton Catholic Schools Foundation. Cory and his wife Gina enjoy spending time with their 3 daughters at the lake, on a ski hill or in a dance studio. At River Valley Wealth Management we know you have a vision for your life, your family, your business, and your legacy. To help you achieve your unique objectives we have formed a team of financial industry specialists dedicated to building firm foundations and achieving your long-term goals. Our wealth management advisors offer a combined five decades of financial industry experience in fulfilling the needs of select clientele with significant financial assets. Our comprehensive experience extends to individuals, families, corporations, non-profit organizations, municipalities and other high net worth organizations. The River Valley Wealth Management Group works within a team-based approach. Our complementary strengths bring together sophistication, knowledge, versatility and accountability. Our approach provides a unique depth of dialogue, advice and proactive solutions. As a team we make it a priority to provide greater flexibility, stability, continuity and clarity. 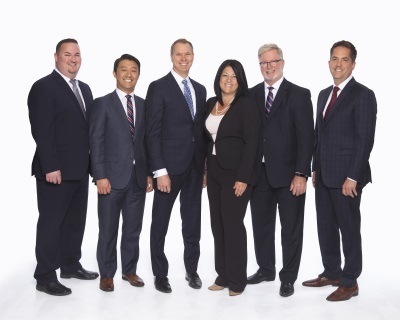 TD Wealth's high net worth planning team provides customized, integrated financial solutions tailored to your vision and your goals. Through the comprehensive discovery of your needs we identify priorities for your unique financial framework. Services encompass income planning, wealth protection, cash flow management, tax planning strategies, charitable giving, wealth transition and other beneficial services. Our team efforts are dedicated to constructing your portfolio, implementing, monitoring, and updating your financial plan. Jason holds a Bachelor of Commerce degree from the University of Alberta where he majored in Finance. Prior to joining the TD in 2007 as an Investment Advisor, Jason spent over 10 years in the private sector where he was involved in senior management conducting financial and operational analysis. Jason and his wife Lori are active supporters of various local charities and organizations within the community. Jason and his wife Lori have two daughters and one son.